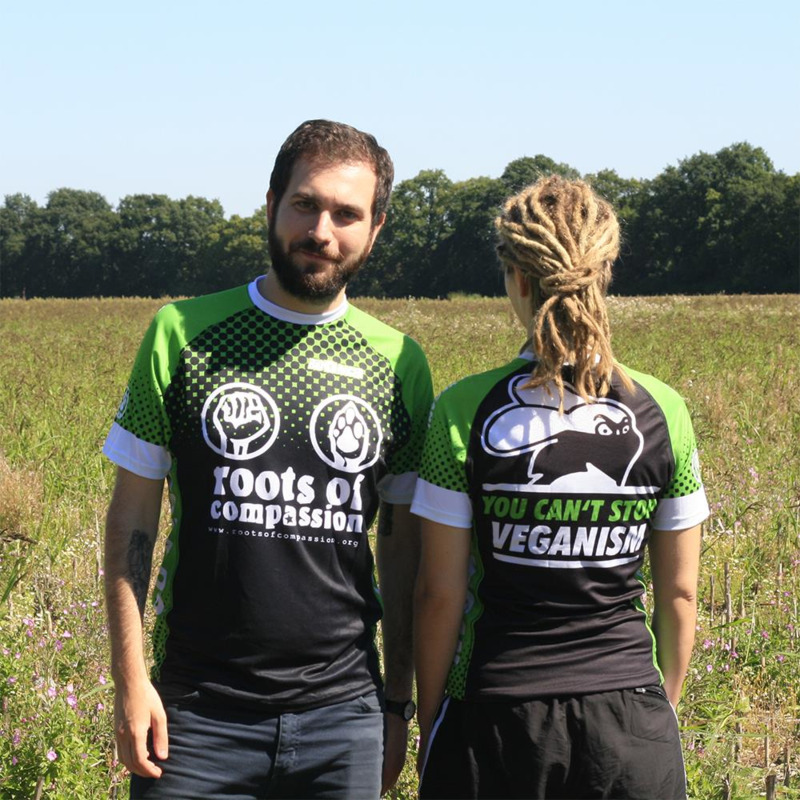 roots of compassion running jersey - show everyone that your performance is 100 % vegan! 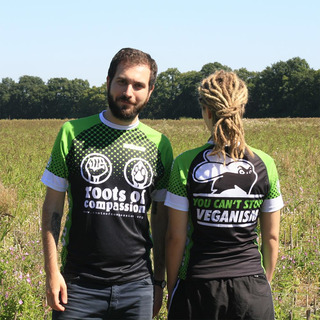 Shirt with a round neck with no zipper or pockets. Made from 100 % Micro-Polyester for optimum moisture transport. 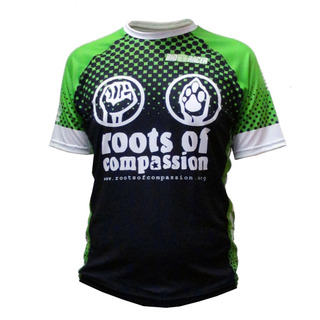 2-way-breathable and in an athletic fit, very light and comfortable to wear. Quick-drying. Have fun running! Assembled in Belgium by Bioracer. Attention! 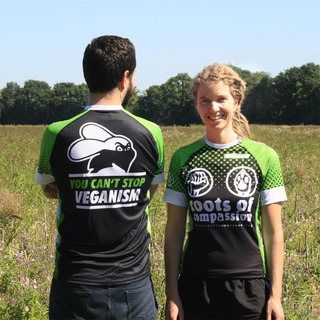 Please take a look at the size chart, since the jersey has a very different cut compared to our other shirts. If you have any questions regarding the correct size, please send us an email or give us a call! Sania is 1,88 m tall and is wearing a size M, Julia is 1,74 m tall and is wearing a size XXS.